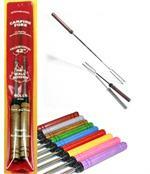 The Marshmallow Stick Company has the USA's hottest barbecue lineup! Our 100% Made in the USA marshmallow sticks are now sold in 97 Wegmans Food Markets in the Northeast and in smaller markets, shops and country stores from Maine to California. 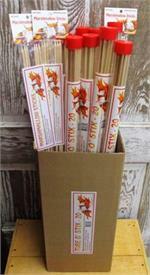 Our sticks cost us more because they are harvested, milled and packaged in Maine USA - none from China - no bamboo. Yet we are usually able to match or beat our competitors' pricing. Order directly online or by phone or emailed purchase order. No special paperwork or account set-up is required. Form W-9 from us upon request. See the individual product descriptions for price points and ordering information. Check-out our new COMBO CASE! 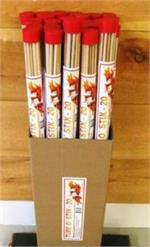 A convenient, cost effective way for smaller stores and markets to sell both our 6-packs and Tube O' Stix 20s.